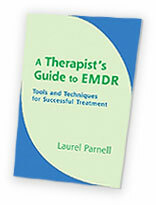 EMDR with a Phobia - Laurel Parnell, Ph.D. 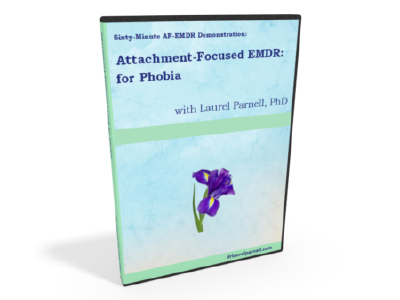 This is an example of using AF-EMDR™ to heal a longstanding life-limiting phobia that has an unknown origin. The client presented with the fear of eating fruit. She could not eat any kind of fruit at all. She had had this fear for as long as she could remember. I demonstrate how to employ the bridging technique to discover the root event that links to the phobia (which was a big surprise to both of us.) 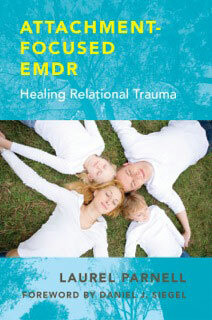 Integrating an attachment-focused orientation, I provided encouragement and support to her as she processed the associated traumas. When she looped, I used several interweaves, particularly resource and imagination to unblock processing. We bridged more than once in this session to completely clear the phobia. At the end of the session she was able to imagine eating.